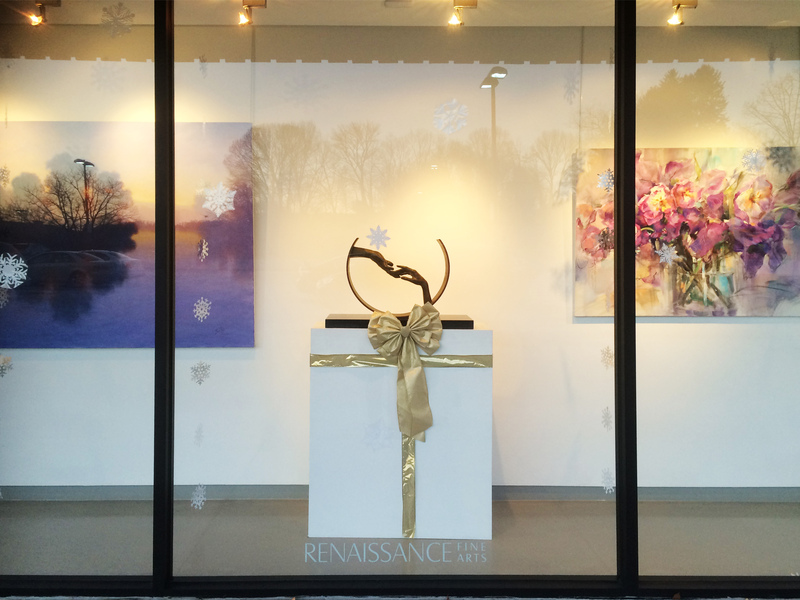 Happy Holidays From RFA! 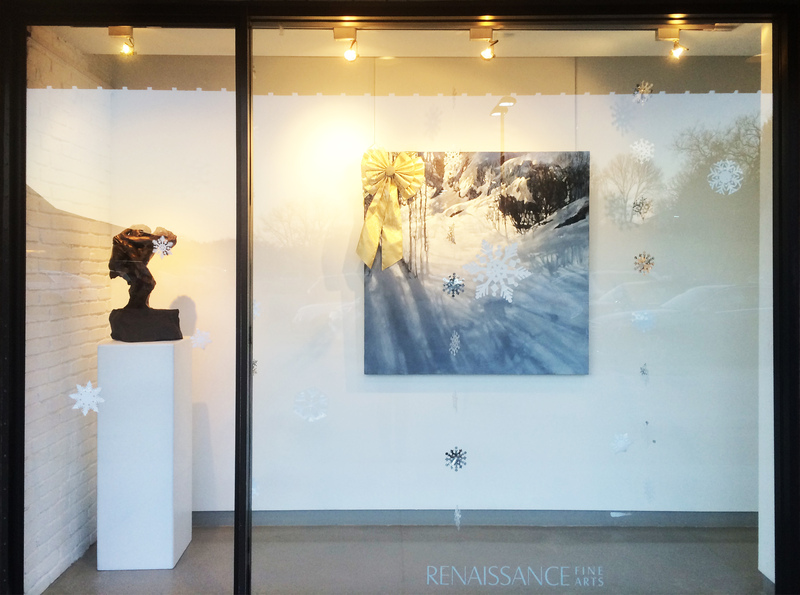 Happy Holidays From RFA! 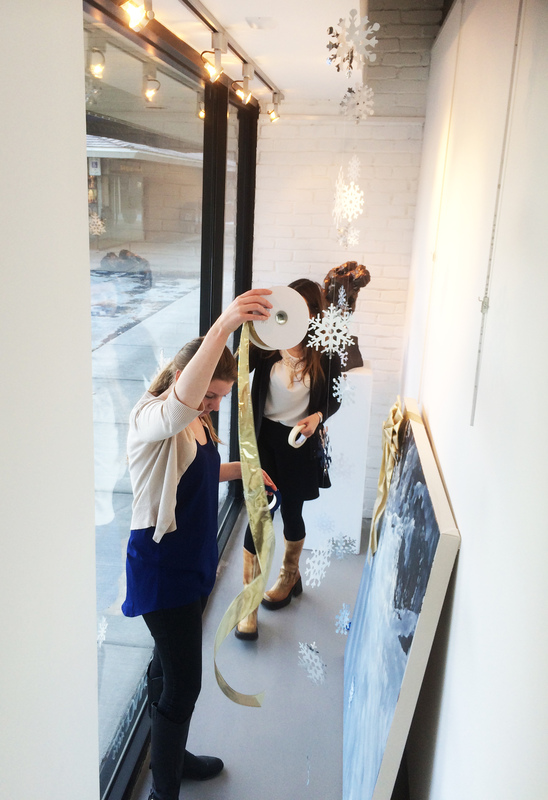 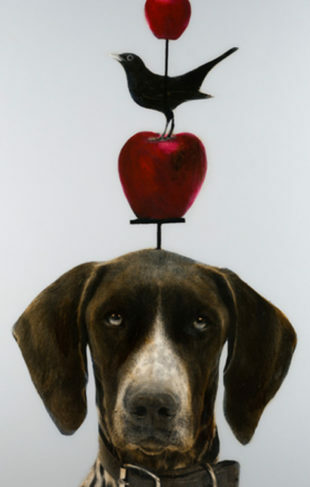 As the gallery begins to gear up for the holidays, we’ve been having some fun decorating for the festivities to come. 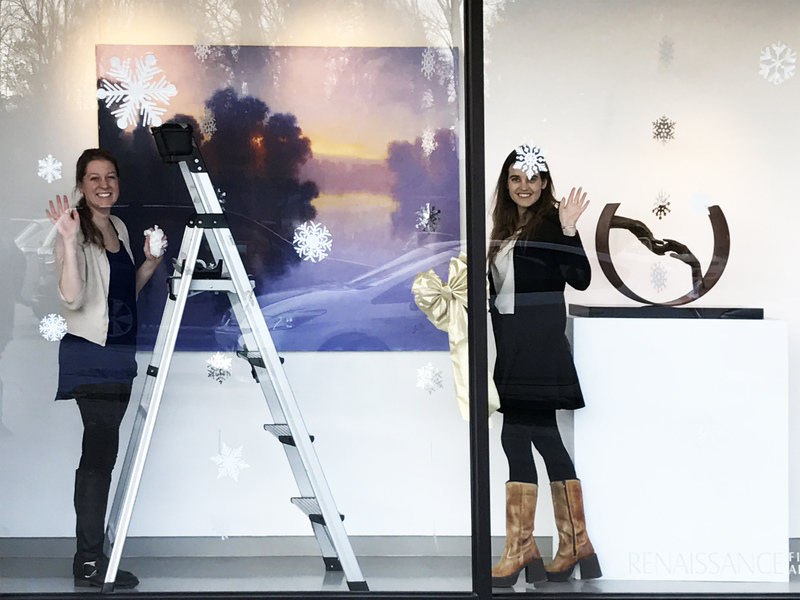 Enjoy a sneak peek of snowflakes and golden bows adorning our storefront, and the gallery elves that have brightened it up with their holiday charm.